New to RE? Find the best support for your start here! It has been a busy summer for RE. 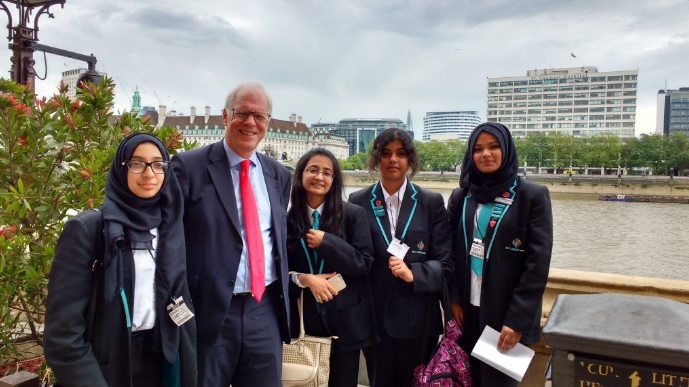 Over 60 students from across England came together on 13 July at the Houses of Parliament for the inaugural Youth Debate on the role of religious education in schools, where they presented some thoughtful and astute arguments on the importance of RE. The following day it was announced that Justine Greening would be the new Secretary of State for Education. More than 37 headteachers and representatives of professional associations have since signed an open letter to Justine Greening calling for a renewed commitment to the teaching of PSHE, Citizenship and Religion in post-Brexit Britain. 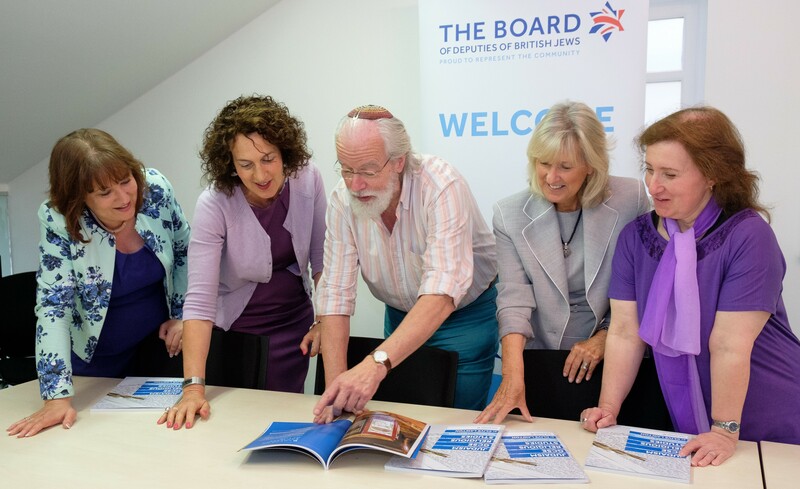 July also saw the launch of a high-profile independent Commission on Religious Education, established to review the legal, education, and policy frameworks for religious education (RE), and to be chaired by the Very Revd Dr John Hall, Dean of Westminster. This review will be a wide-ranging, inclusive and evidence-based process designed to inform policy makers, and will last for two years, with a final report expected in mid-2018. The ultimate aim will be to improve the quality and rigour of religious education and its capacity to prepare pupils for life in modern Britain. The REC is pleased to be providing the secretariat for the Commission, but the Commission will be independent of the REC and be entirely responsible for the content of its reports and recommendations. The main events in August being eagerly anticipated by thousands of pupils across the country, and their teachers, were GCSE and A level results. Entries for Religious Studies A level have continued to rise faster than for any other arts, humanity or social science, with an increase of 6.8% since 2015 and more than double the number in 2003. 23.3% of entries for RS A level were awarded an A or an A*. Whilst the REC was delighted to report the highest number of entries for the full course GCSE in Religious Studies since 2002, there was some concern about the fall in the number of entries for the short course GCSE in Religious Studies. There were 22.9% fewer entries in England for the short course GCSE in RS than there were in 2015, raising concerns about the number of pupils overall who have not received the religious education to which they are legally entitled. Overall we at the REC are feeling optimistic for the new academic year; although RE still has a number of challenges to overcome, we are confident that the hard work of the REC, its Board, committees and members, and the work of the Commission on RE will go some way towards confronting these, to ensure that young people are provided with the good religious education to which they are entitled. Following the launch of the Commission on RE last month, the wide-ranging, inclusive process of gathering evidence for the Commission will start in autumn 2016 and last for two years, with a final report expected in mid-2018. It will be essential for the Commission to be able to hear from all those who wish to contribute to the debate. It is expected that, following their first meeting, the commissioners will have made a decision on how they wish to hear from people; in the meantime the REC will be happy to collect submissions by email at commission@religiouseducationcouncil.org.uk. On 13th July, over 60 pupils were welcomed to Westminster by Mary Glindon MP; comedian, writer, actress and RE Council patron Sara Pascoe; and sixth-formers from Mulberry School for Girls who co-chaired a debate on the role of RE in schools. Topics included the role of religious literacy in combatting extremism, the right to withdraw from RE and whether it should be left to parents to teach their children about religions and beliefs. While arguing that RE was not about indoctrination, one delegate remarked: "We're not taught French to become French, but to learn about French. The same is true of religious education." The then Secretary of State for Education, Nicky Morgan, was in attendance for part of the debate and spoke in favour of school-based, inclusive religious education. The REC will look forward to working with her successor, Justine Greening, to improve the provision of religious education. The national accreditation for high quality religious education will be five years old in Autumn 2016. Realising that there was a need for an award which would match those in other curriculum areas, we applied for funding to test whether this would both meet the needs of schools and be self-financing. Among others, Culham St Gabriel's provided seed-corn funding to run some pilots in the north west and the east of England. It quickly became clear that using a framework to have high quality conversations about RE could both affirm and develop high quality RE provision. Now with over 200 accredited schools - primary, middle, secondary, faith and maintained - in England, Wales and Northern Ireland, the RE Quality Mark is on the map. We are grateful for the support of the 65 assessors whose professionalism, commitment and support for schools has given them an enormous boost. We are grateful to the many colleagues who supported and encouraged us in the early days; to the fantastic support from Sylwia and Naomi at the REC. Above all, we are grateful to the schools who have been prepared to take the plunge, do the work and have the quality of their RE provision externally validated. For more information about the REQM, please visit the REQM website and follow the scheme on Twitter at @REQualityMark. The RE Quality Mark is an important contribution to the subject’s development in England and Wales. The previous project managers, Mary Myatt and Jane Brooke, their support colleagues at the REC, and funding organisations, have created an important feature in the RE landscape. Schools and teachers who engage in the process of self-evaluation and external validation report a high level of satisfaction and enjoyment, and the celebration of their good RE helps to promote staff confidence, pupil progress and local partnerships. Centres of excellence and classroom based research in RE help us all to meet national challenges in this fast-changing educational context. I am greatly looking forward to taking up my role as Project Manager in September. It will be good to work with new colleagues and long-standing friends in the scheme - those who are assessors, teachers in existing award schools, and those applying for the REQM. Best wishes to all for another successful year. Do you know anyone who will become a newly qualified secondary RE teacher this September? NATRE is offering NQTs the opportunity to extend their repertoire of strategies for teaching RE, deepen their subject knowledge and have the support of an experienced RE teacher/leader as a personal mentor, through its New to RE programme in September 2016. If you know anyone who may be interested please share this link so they can visit the NATRE website to find out more and apply. A new educational resource – the definitive guide for those teaching Judaism in GCSE Religious Studies – is available now. Entitled, ‘Judaism GCSE Religious Studies – The Definitive Resource’, it provides an unbiased description of the diversity within the Jewish community, and highlights the issues that are of most importance. The 140-page resource is designed to be easy to use and provides information for both students and teachers. Each topic is headed by a list of key facts, which is followed by fuller explanatory material. Vocabulary for the key facts has been carefully regulated to ensure it is easily accessible to GCSE pupils. It is available to download and buy at a price of £9.99 (online) and £14.99 (hard copy). The Hindu Council has launched a course of ten half-hour sessions covering the basics of Hinduism. The series was recorded at Eton college and offers a comprehensive, comprehensible & contemporary vision of Hinduism. This free series can be accessed by RE teachers and students sitting for GCSE examinations in Hinduism here. The Buddhist Society is running a free 7-week course 'Introducing Buddhism' from 13 September - 1 November at 6.30pm. Each weekly talk will take place at the Buddhist Society in London; the talks are designed to acquaint the newcomer with the basic fundamentals of Buddhism. Location: The Buddhist Society, 58 Eccleston Square, London, SW1V 1PH. Details: Visit the Buddhist Society's website. 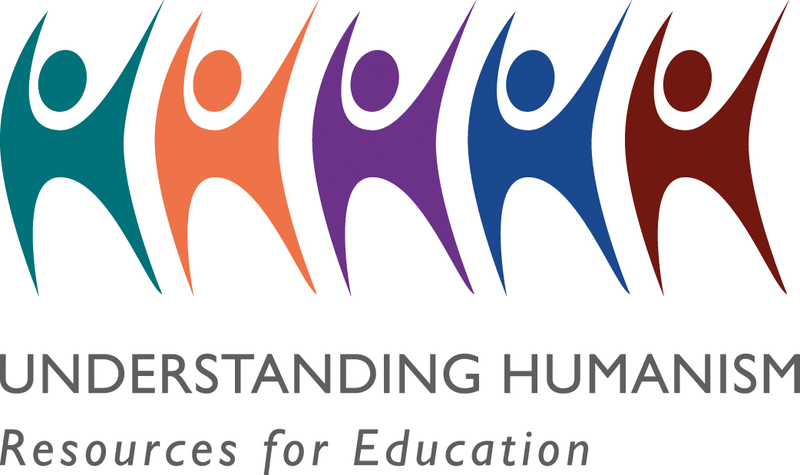 Understanding Humanism is a website packed full of teaching resources about Humanism, featuring lesson plans, presentations, classroom activities, videos, and information on CPD opportunities. Teachers can also book a visit from a free humanist school speaker. In September teachers can find new lesson plans, activities, and humanist perspectives on a wide variety of themes, topics, and debates. To keep up-to-date with all the latest resources, and other news relating to Humanism, teachers can follow Understanding Humanism on Twitter on @HumanismEdu. For more information, please email education@humanism.org.uk. This renowned and unique calendar delineates dates from 14 world religions, as well as indications of people of faith. Available as either a printed wall-chart or as an electronic downloadable PDF, with significant reductions for multiple copies, this calendar is an invaluable resource for schools, universities, hospitals, the police service, prisons, law firms or anyone who needs to deal with multi faith Britain. More details can be found at: www.shapworkingparty.org.uk/calendar or contact Shap at calendar@shapworkingparty.org.uk. Barnabas in Schools’ new theme for 2016-17 (from 1st October) is Creating Character, and it’s all about developing strong personal values such as courage, wisdom, thankfulness, humility, endurance, service and compassion. This package consists of an Inset for primary schools, a creative arts RE day (choice of two themes, Friendship or Community), and free support material on the website. The PSHE Association’s Chartered Trainee Teacher programme enables teacher training providers to ensure trainees have a basic understanding and skills required to teach PSHE education. This is crucial because newly qualified teachers are often required to deliver PSHE education immediately upon taking up their first teaching post. At the University of Birmingham, all 18 RE PGdipEd trainees and others on an ITE course have worked towards the PSHE award as a way of complementing their RE Teacher Training/Education; all learnt a lot from this experience. An article on the award can be found on the PSHE Association's website. 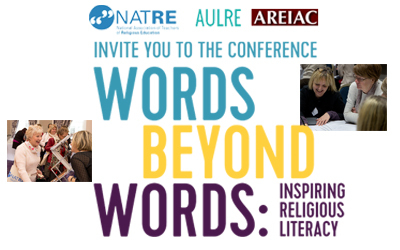 This joint conference between NATRE, AULRE and AREIAC has been designed to bring together the wider RE community from classroom teachers to inspectors, ITTs to renowned academics and everyone in between. There are only a few spaces left, so don’t miss out! For more information and to book your place please visit the NATRE website. The conference offers excellent CPD for prep and senior schools from specialists in RE pedagogy, from all the major exam boards (AQA, OCR, Eduqas and Pre-U) and from university Theology and Philosophy departments. Contact admin@isrsa.org.uk to book a place. The LASAR project (Learning about Science and Religion) will be holding a day-long conference at the University of Oxford on 28th October, exploring links between education, science and religion. There is a call for papers for 15 minute presentations on each of three chosen themes. For more information on the call for papers and the themes to be explored, please visit the Faraday Schools website. To register to attend the conference, please click here. Registration for the next Oxford Symposium for Religious Studies on 5-7 December is now open. The meeting will be held at The Old Library in the Oxford University Church of St Mary and hosted by Canon Brian Mountford MBE, Vicar of St Mary’s. Colleagues are invited to present a paper on an aspect of religious studies, or may register to attend as observers. The registration deadline is 16 November; those who register before 10 October will receive a £60 early bird discount. For more information visit the Oxford Symposium on Religious Studies website. To submit an entry to the next newsletter, e-mail a short paragraph along with a weblink to info@religiouseducationcouncil.org.uk by the 24th of the month.